Xiaomi MI3 was a huge success for Xiaomi before the sale of the Redmi 1S began. The phone was getting out of stock in seconds and created so much of buzz. Xiaomi is now offering a Screen protector and a Micro SIM tray with the Redmi 1S. 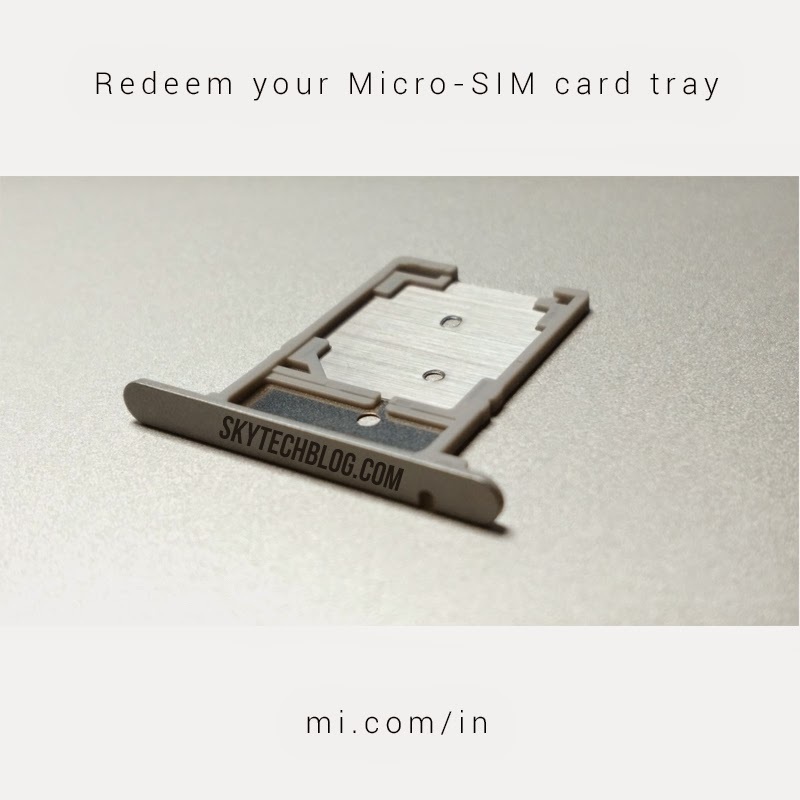 Some users of the MI3 was facing issues with the SIM tray. Giving the owners relief, Xiaomi is now giving away a free Micro SIM card to the MI3 owners. To get the SIM card tray you need to have a Xioami MI3 which is purchased officially via Flipkart. The owners will need to submit their details on the official Xiaomi website and wait for few days to get the SIM Tray. This is a good add-on for the users who were having a Micro SIM.